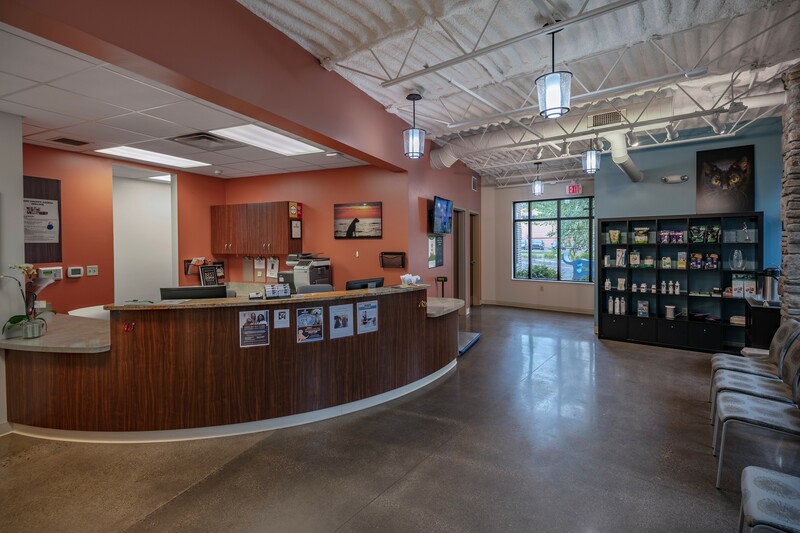 As a community-focused veterinarian in Grand Rapids MI, the Eastown Veterinary Clinic offers full-service veterinary medicine, committed to providing the best possible medical, surgical and dental care, as well as promoting responsible pet ownership, preventative health care and health-related educational opportunities for all its patients. 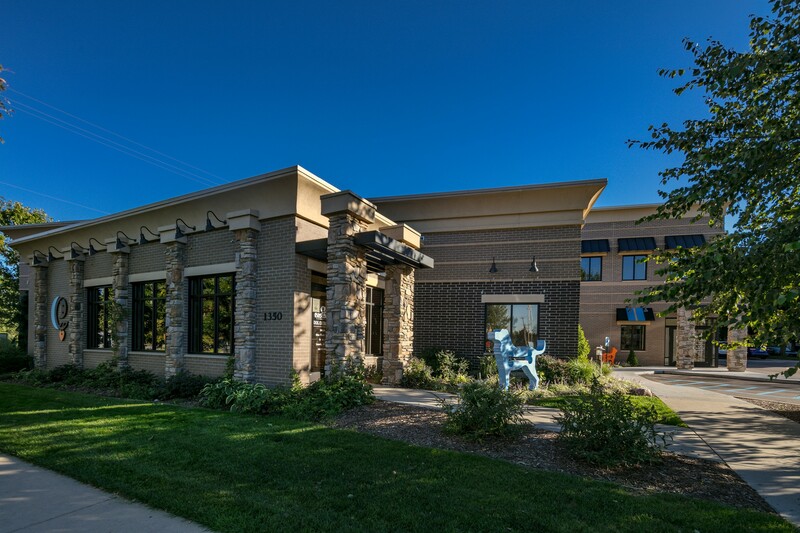 Working with experienced animal care facility engineer Design Learned Inc., the Mathison | Mathison team conceived a two-story addition to the existing one-story facility to meet tight urban setback requirements, utility easements and environmental controls in order to create separate, more stress-free entrance locations for dogs and cats. 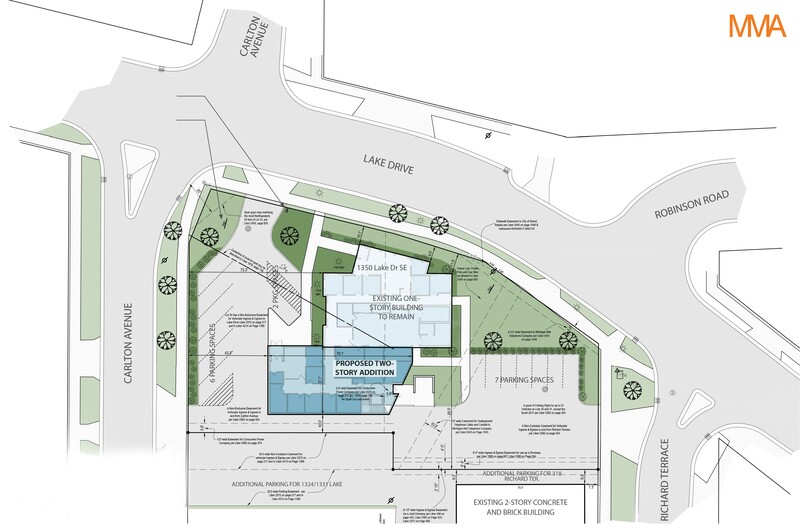 The result is a unified, attractive, and accessible building in the heart of the vibrant Eastown community. 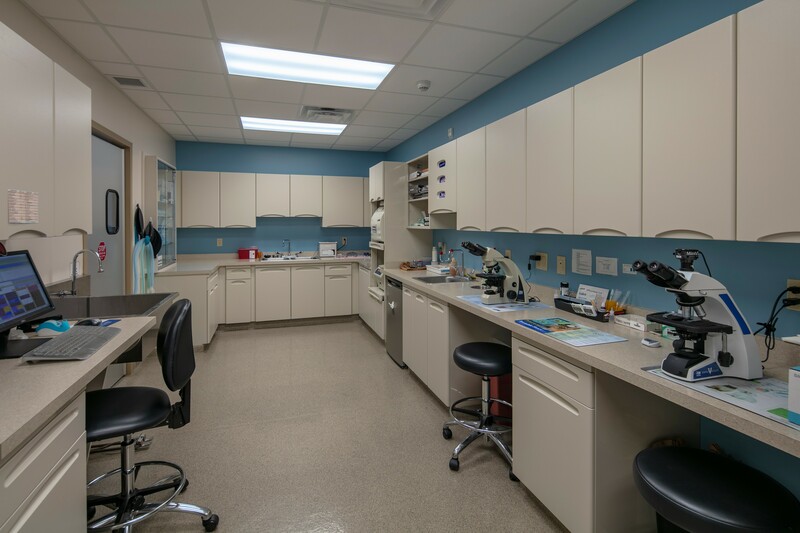 The existing building was renovated for a larger treatment area and to create two new exam rooms. 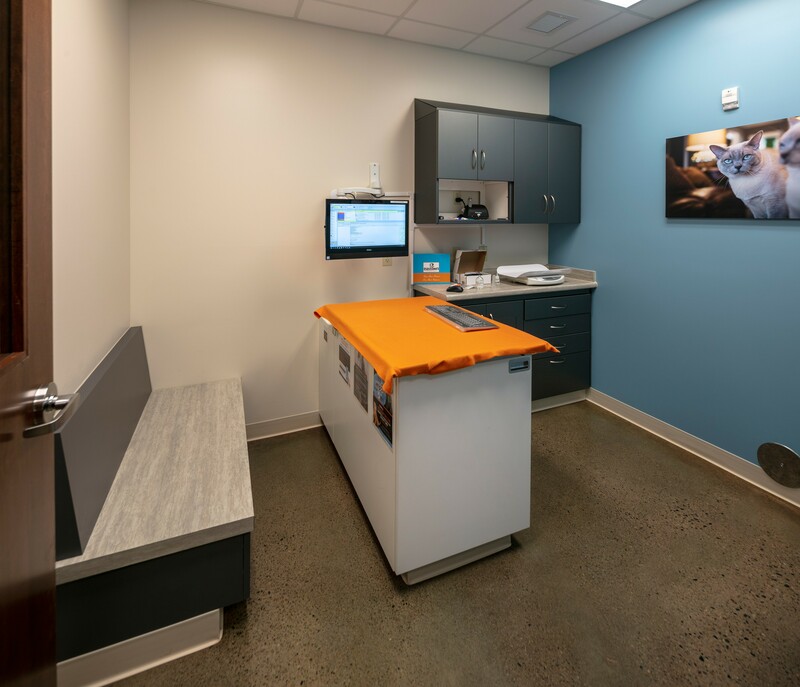 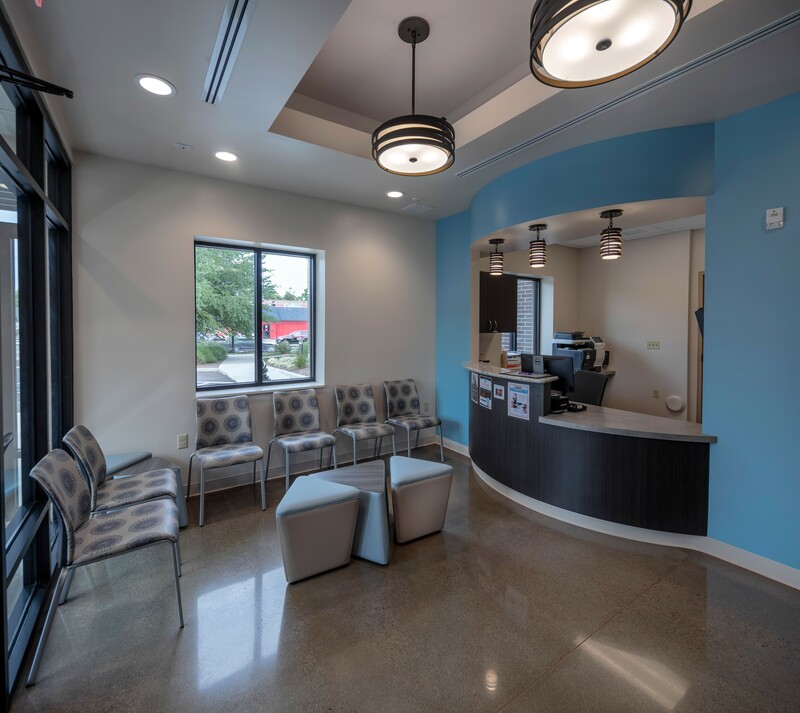 The existing lobby and reception became the new “Dog Entry” while the new two-story addition includes a separate “Cat Entry” and a series of exam rooms intended specifically for cats, including heated tables and sunny windowsills. 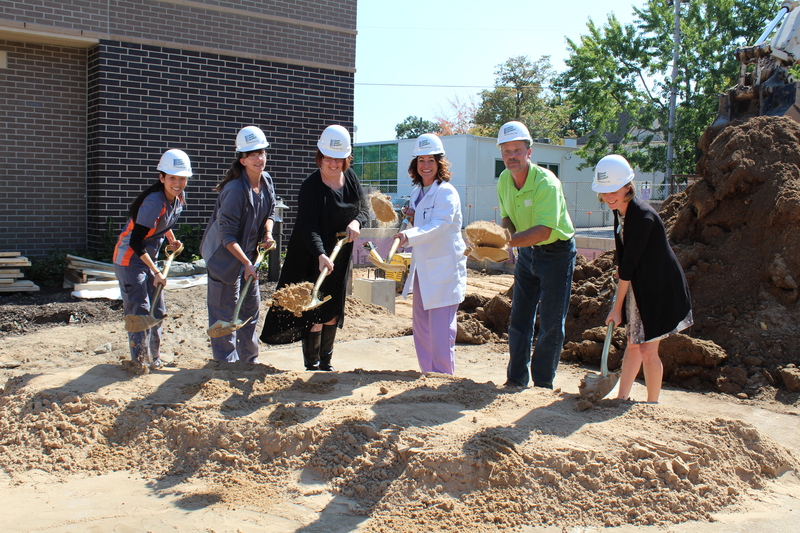 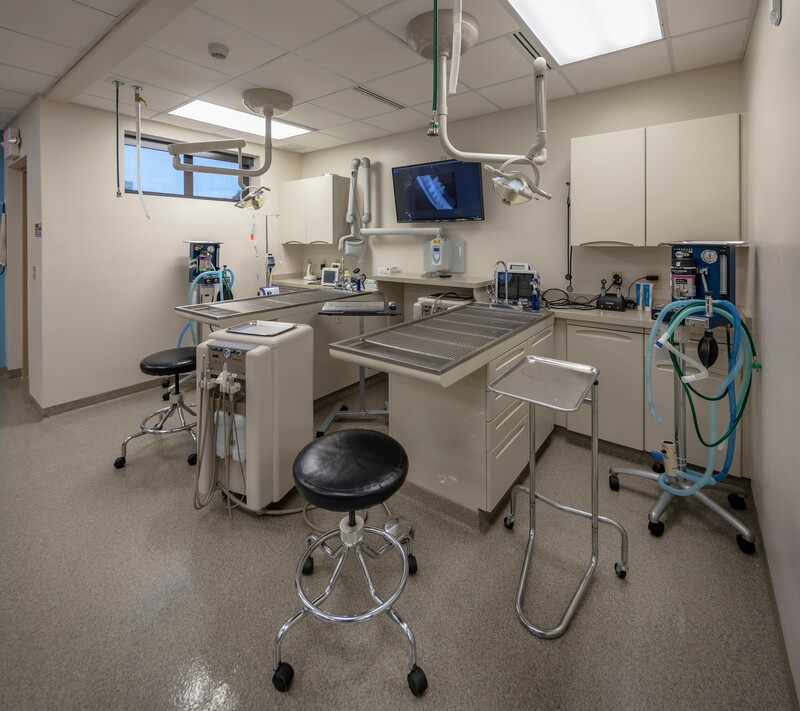 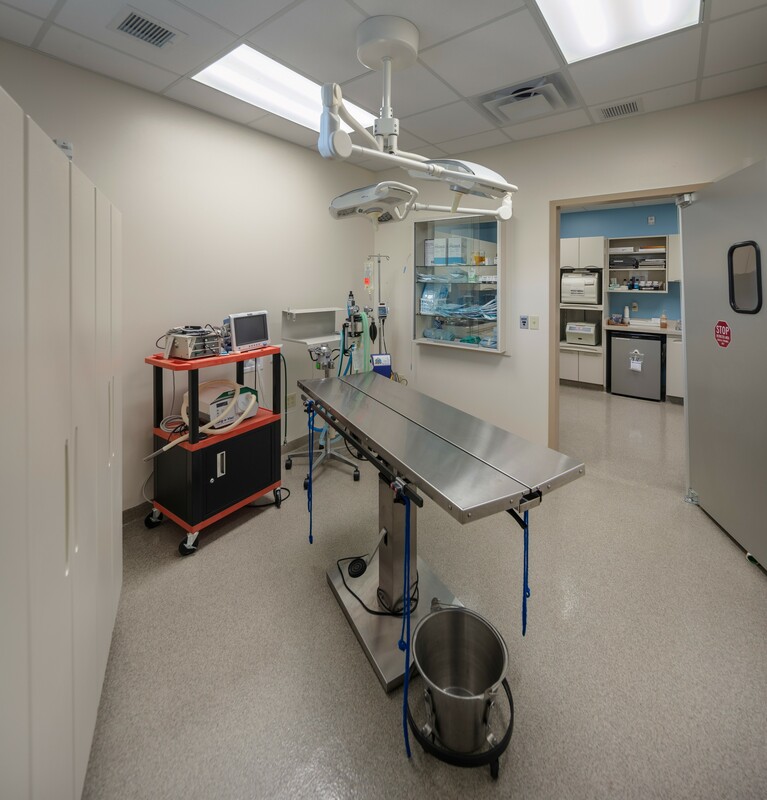 The new two-story addition also houses dental treatment, surgery and lab, a dog ward, grooming room, and laundry on the ground level. 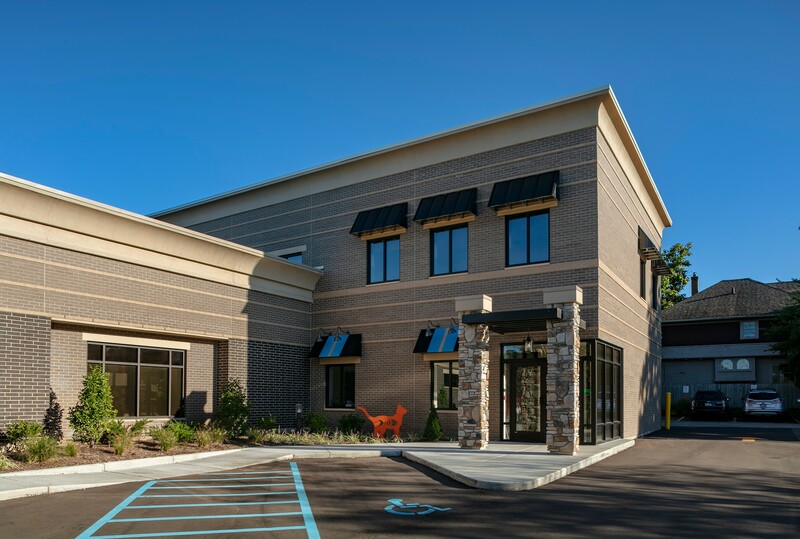 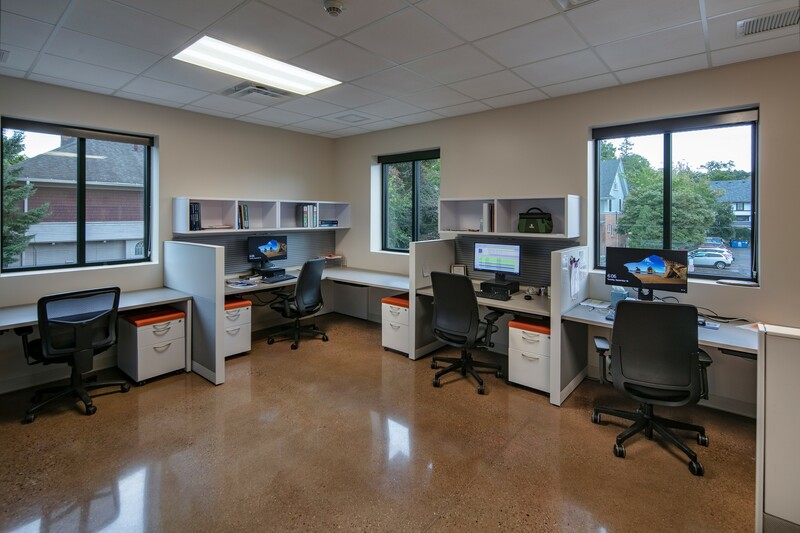 Employee space is located upstairs, including private and shared offices, a break room, conference room, locker area, and a restroom with a shower for employee-use.